I was delighted to find shoulder-high ashwagandha and tulsi growing right alongside cacao trees laden with pendulous purple pods. Picture clambering passionflower chumming it up with creeping gotu kola. Perky ginger and turmeric leaves growing underneath cinnamon trees. Edible, medicinal, and culinary plants weave together in an exuberant pandemonium that can only be orchestrated by abundant rainfall, warm temperature, and sunshine - a true tropical permaculture paradise! Dried cacao seeds (Theobroma cacao) are consumed raw as cacao seeds or nibs. Chocolate is typically made from the roasted seeds with a sweetener. Cacao pod (Theobroma cacao) with its fleshy, white edible pulp that surrounds the seeds. The winding mulched pathways and shady resting spots create an inviting environment for the visitors who come to learn about Hawaii’s medicinal and edible garden flora. During the tour, folks get to interact with the living plants used in the business’ products and then retire to the Tea Lanai to sample tea grown on the land, accompanied by seasonal fruits and nuts. Annatto (Bixa orellana) is a tropical tree native to the Americas. The red-orange arils covering the seeds are used as a condiment and dye in foods and cosmetics. This is bioregional herbalism at its finest. Doug and Genna’s operation is entirely organic, based on sustainable methods of cultivation and harvest, and with a direct connection to the medicinal plants used in their products. They focus on plants that are easily grown in their climate and employ permaculture techniques in their plantings. Instead of planting vast monocultures of single medicinals, they interplant botanicals in guilds comprised of plants of varying growth habits. Low-growing and spreading medicinals such as gotu kola and spilanthes happily cohabitate with taller herbs such as ashwagandha and tulsi. Grouping unrelated plants reduces insect and disease pressure and more closely mimics what happens in nature. Kauai Farmacy is a prime example of a successful farm to apothecary, or farm to ‘farm-acy’, operation. Doug and Genna have taken things one step further by adding a third link to their business chain: ecotourism. They operate on an innovative Taste/Explore/Learn model. Visitors may taste fresh herbs, spices, and tea blends at their Tea Lanai/Farm Store, explore their diverse medicinal herb gardens guided by their herbal and gardening staff, as well as providing many opportunities to learn more about medicinal plants, and Kauai Farmacy’s harvest and cultivation methods. For those of you interested in eco-traveling through the Hawaiian islands, or for those who may have interest in starting a Farm to Apothecary Ecotourism business model themselves, we’d highly suggest visiting Kauai Farmacy and their lovely garden oasis. Visit their website to buy products or book a tour! Comfrey (Symphytum officinale) growing with cranberry hibiscus, or african rosemallow (Hibiscus acetosella), which has edible red leaves and flowers. DEVON KELLEY-MOTT sprouted in the lush hills of Western Massachusetts and was called to the herb world at an early age. She transplanted to the mountains of Western North Carolina in 2011 to study the vast biodiversity the Southern Appalachian region has to offer. 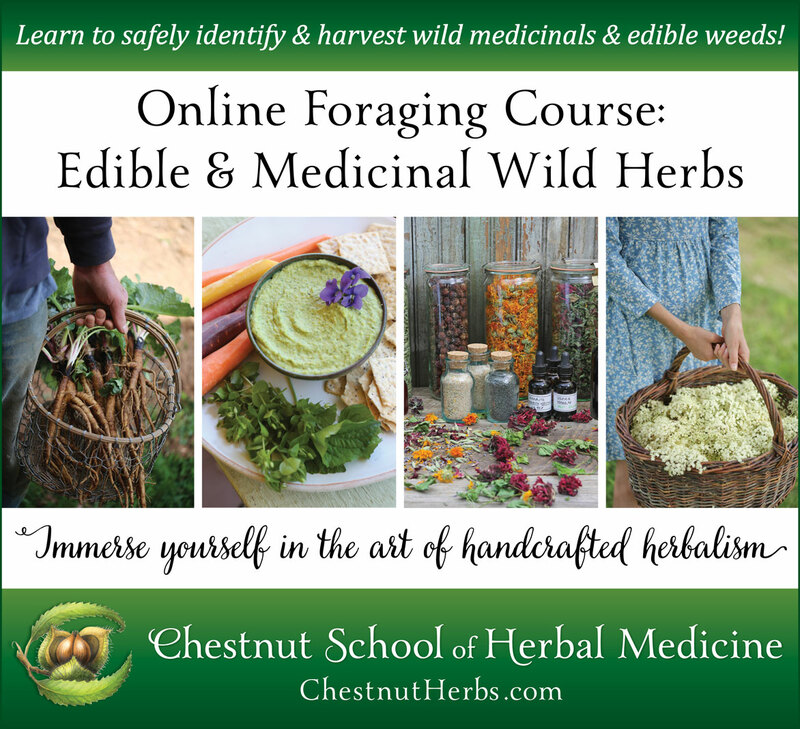 During this time she has worked on numerous herb farms, organized and hosted herbal events, created an herbal product line called Apothefaerie, and currently works as Executive Assistant of the Chestnut School of Herbal Medicine.